I think this summer it’s been the busiest in my whole life! After we moved at the end of May, I’ve been setting up the new home, working on some projects I’ve been requested, taking care of the house while my hubby is still abroad and spending time with my daughters because remember, we are in summer and we live in a pretty island with plenty of things to do! I wrote a little about our summer activities in case you want to know how I spend most of my time when I’m not working. I’ve been trying too to keep my new house uncluttered (just in case I move again lol) but it seems it doesn’t work for me. I keep finding curbside stuff all.the.time. Of course, I haven’t been born to just pass on it… I take it home. 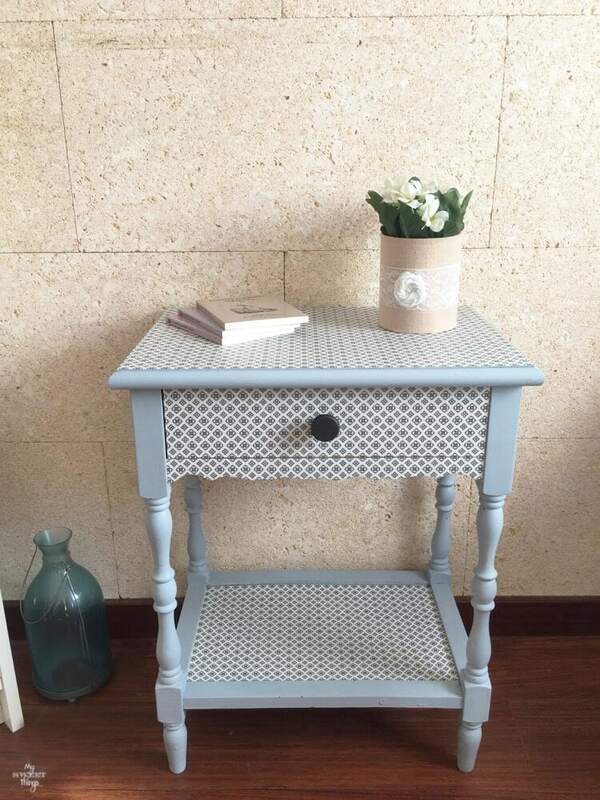 This time it was different, because since we moved my hubby didn’t have a nightstand. I sold his before we moved because it was too big for the new room, and as he was not at home either I didn’t bother too much. But one day I realized that when he came back it would be nice for him to have his own, and I began to think and gather ideas. Then, one day, this cutie was waiting for me next to the dumpster. It had the perfect size and was in great condition! 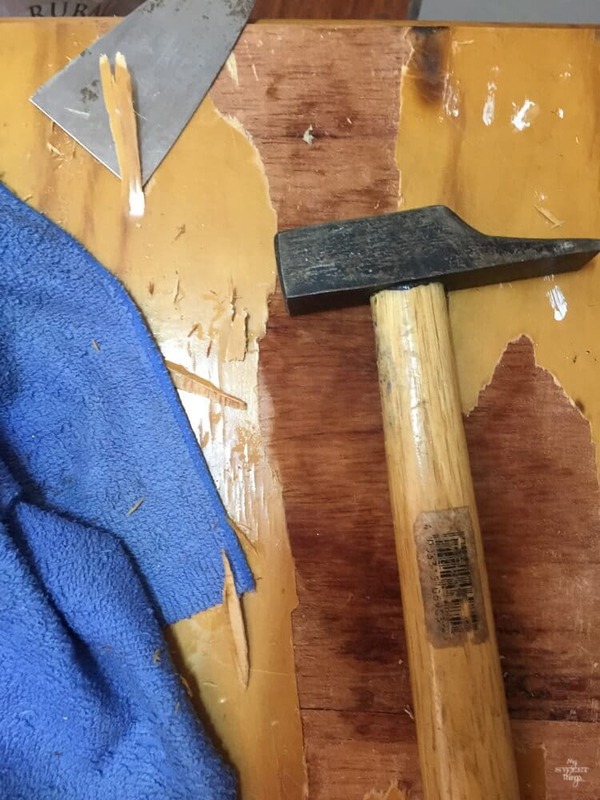 I left if outside for some days, under the sun and rain, and when I brought it inside I realized the veneer had to be removed. 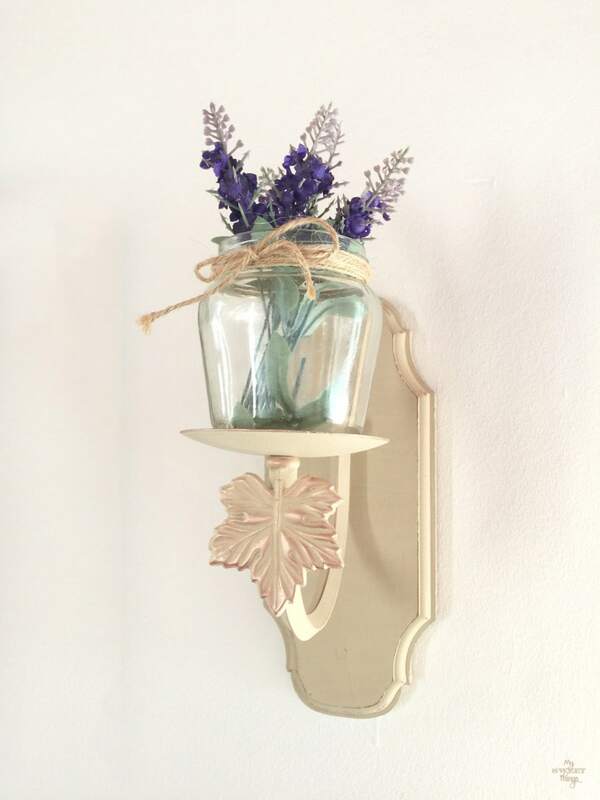 I am really honored to have been chosen as an Old Fashioned Milk Paint blogger so I couldn’t wait to use this green paint for this project! So excited to share my first contributor post as an official OFMP Brand Blogger! It ended up like this. 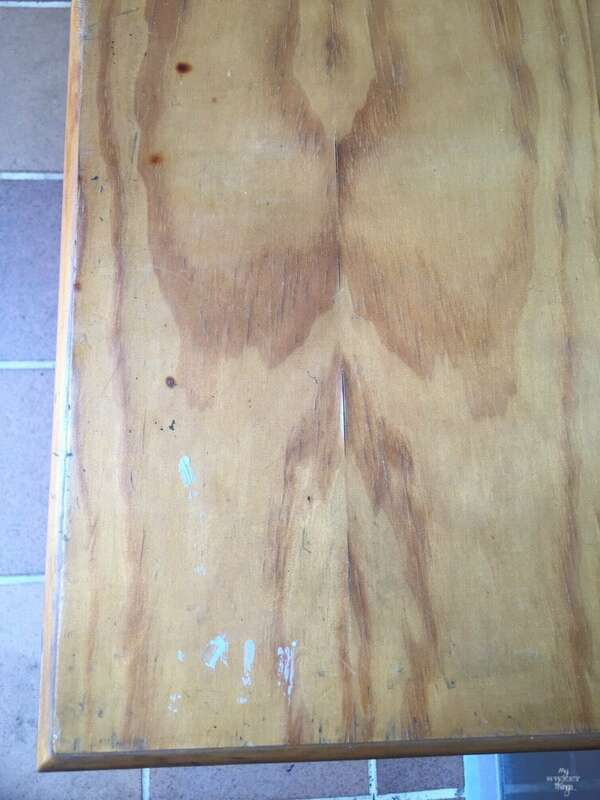 Not a pretty wood right? 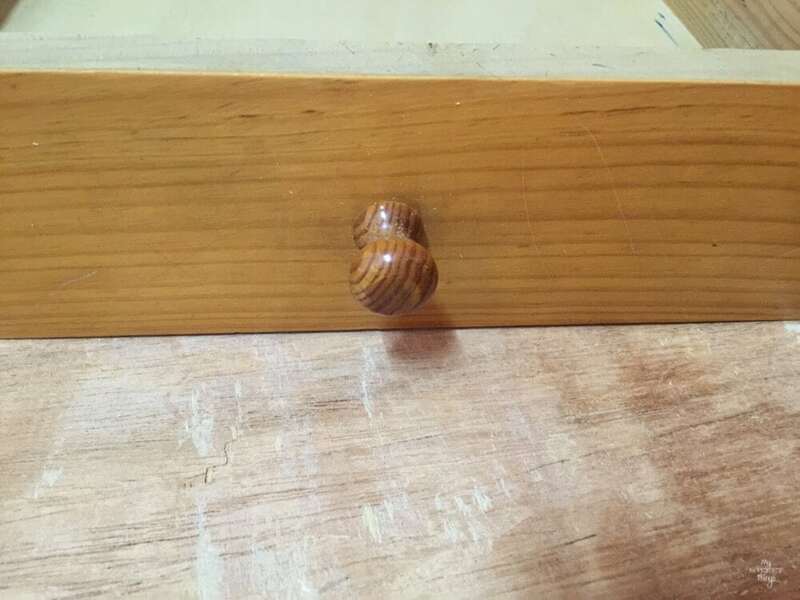 The drawer had this knob, ugly at its best. Now the fun began. 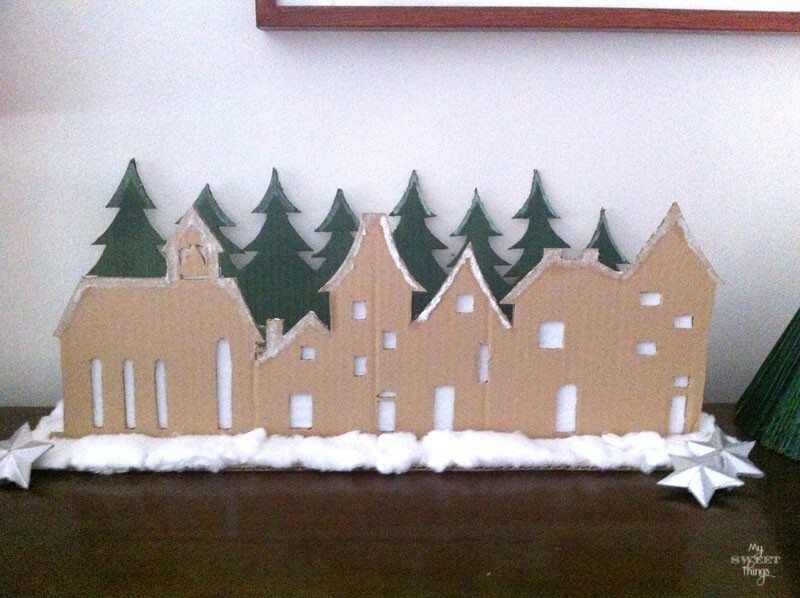 I had a clear idea of what I wanted, and it involved paint and gift paper. · OFMP Paint. I used Slate and Snow White color. Let me explain something about OFMP, it is a true milk paint, all natural, green, non-toxic, water/casein based. 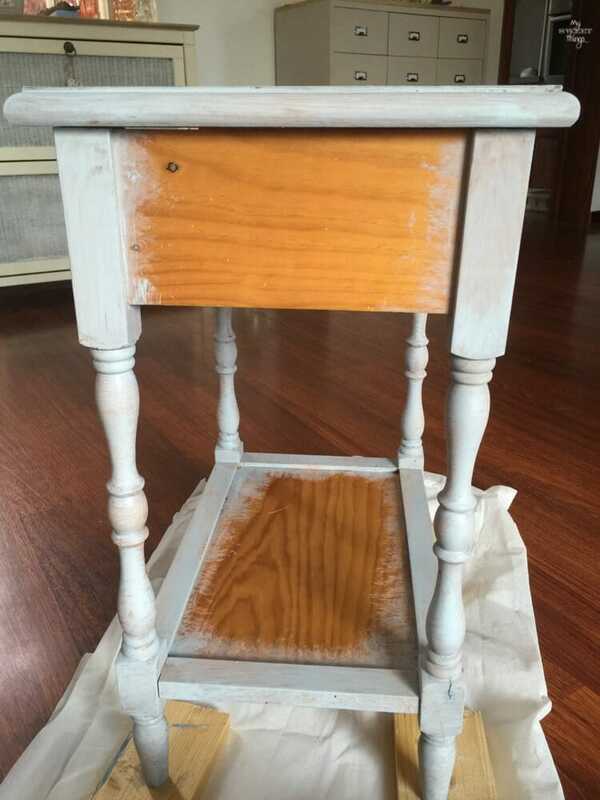 Being true milk paint, the paint powder must be mixed with water in a 1:1 ratio for painting or diluted to use as a stain. 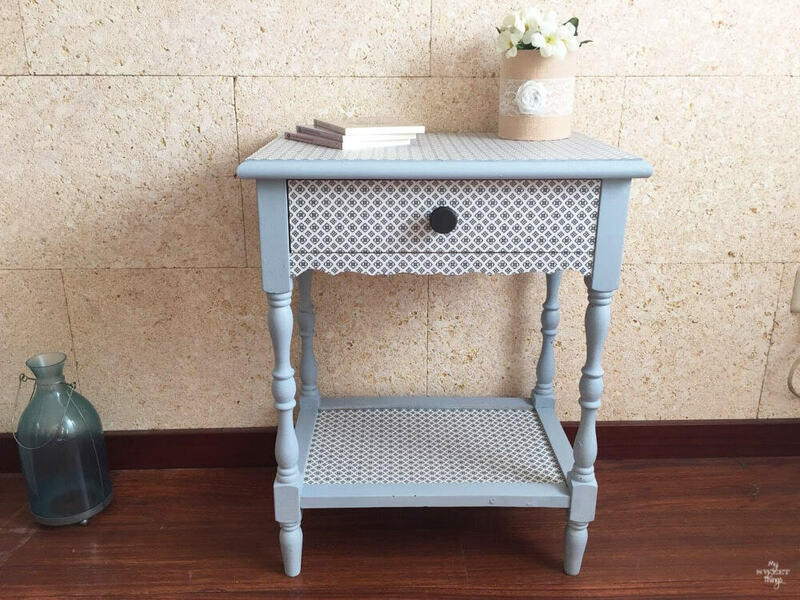 Milk paint is self-leveling so it sets smoothly on your surface and gives the piece a perfect coverage and smooth finish. I started by mixing Slate and Snow White in equal parts, and added the same amount of water to the same amount of paint I had. I stirred it for some minutes to get it smooth without lumps. Then I added Extra-Bond because I didn’t want it to chip. I applied the first layer and let it dry. Don’t panic for its look right now, you may think it’d take lots of layers to have it covered but not. The second layer will do all the magic! While the paint was drying, I took an empty bowl and mixed glue and water in a 1:1 ratio and applied it to the top of the nightstand. 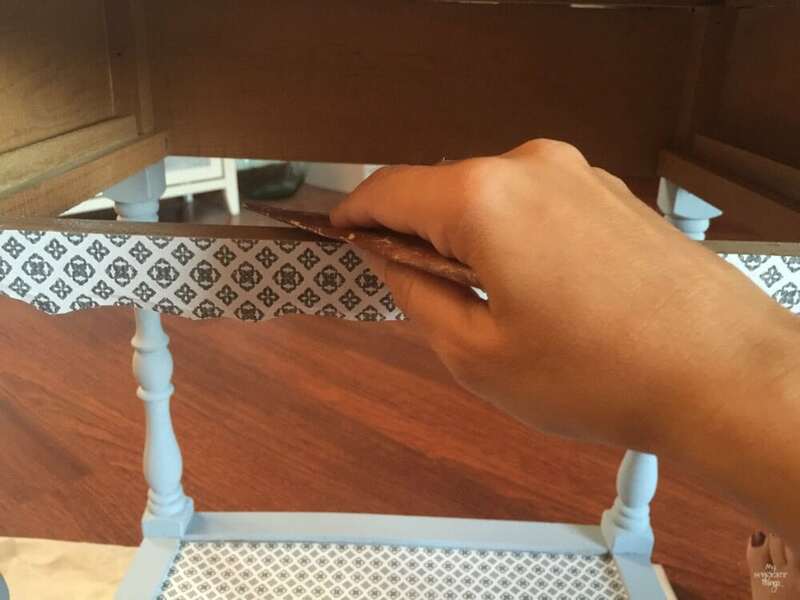 I decoupaged some gift paper on the top, and did the same to the front, sides and bottom. 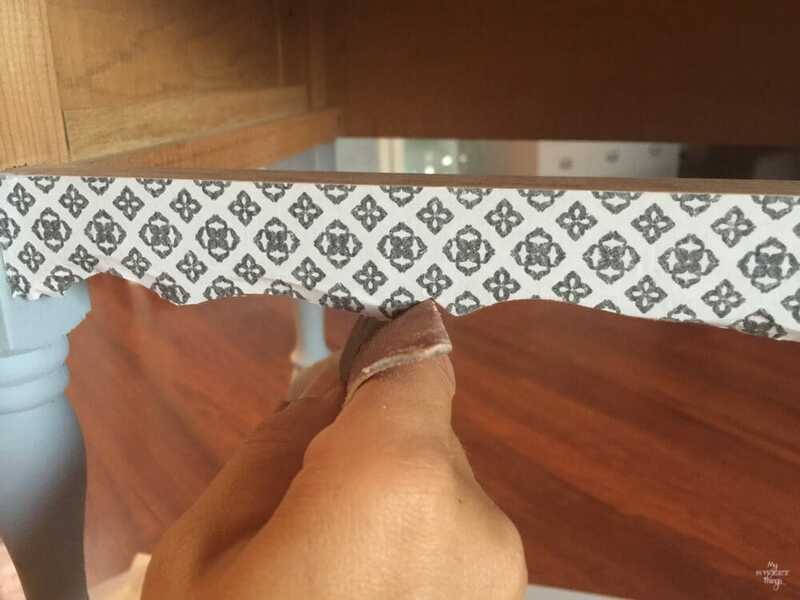 The trick to getting a nice finish on the borders is to sand the paper once the glue is dry. 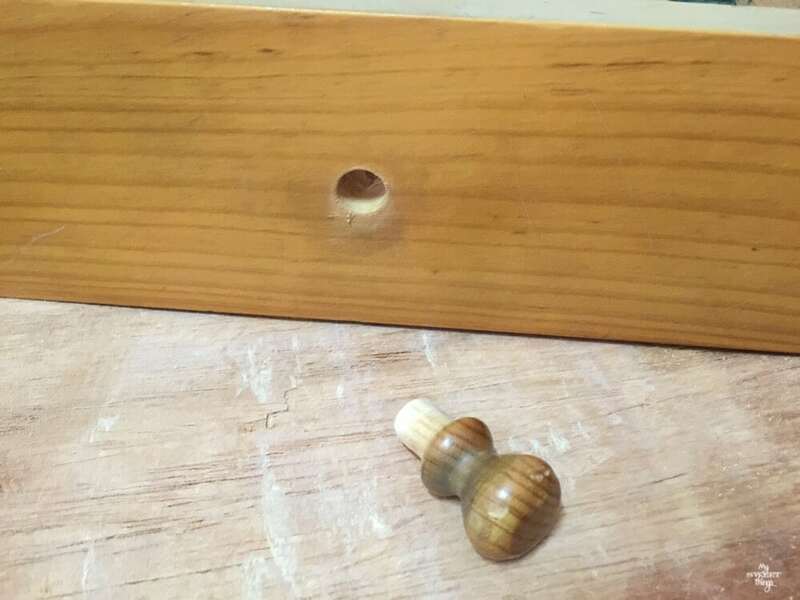 To finish it, I looked for a new knob and I picked one that I found laying on the floor in the new house when we moved in, so I’m happy I could use that single knob and it fitted so well there. Remember I told you the magic happens with the second layer? I really love the smooth finish of that paint! 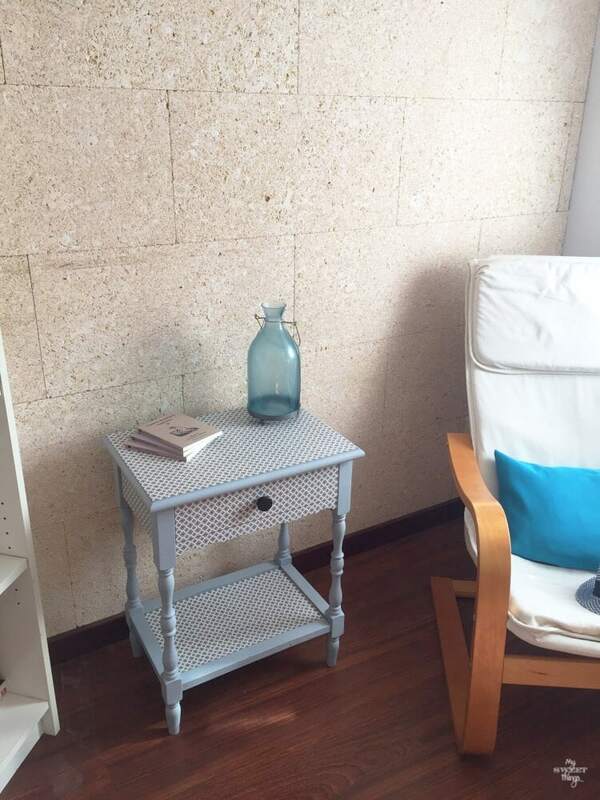 I think I will keep the table in my reading corner while my husband is out. 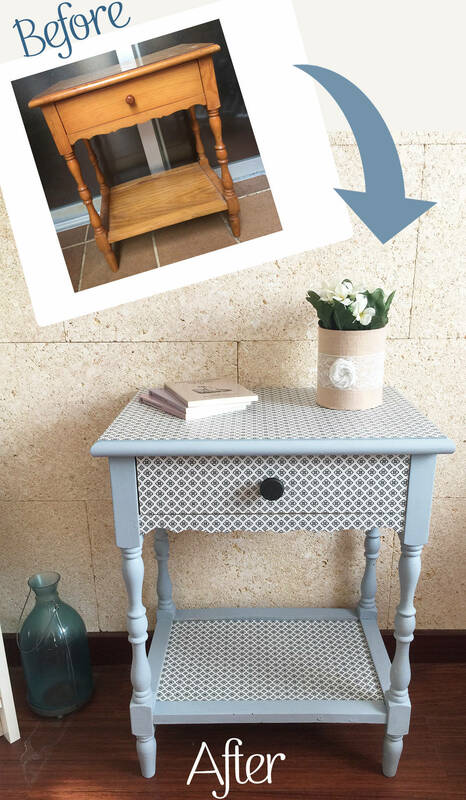 Transform furniture with decoupage is so easy, and at the same time it has a big impact on an ordinary piece. I’m in love with it!! 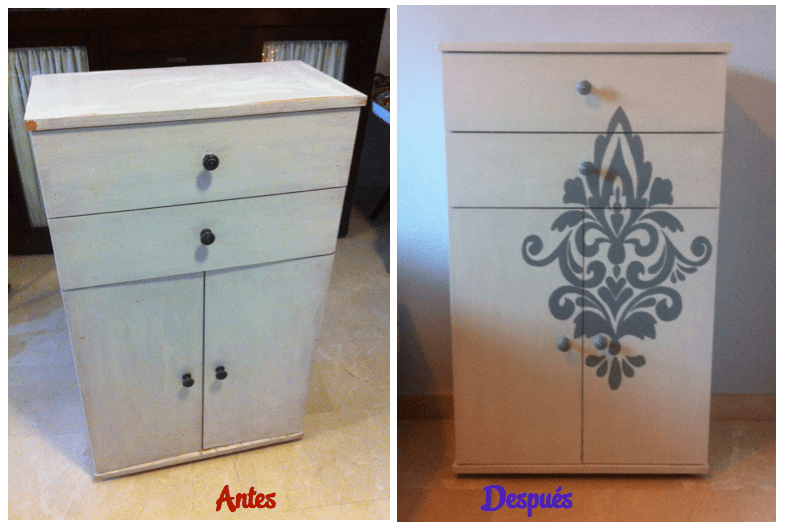 I hope I’ve been able to inspire you to transform your own furniture. If you do, I’d love to see it! If you want to see more projects you will find them at the Gallery. 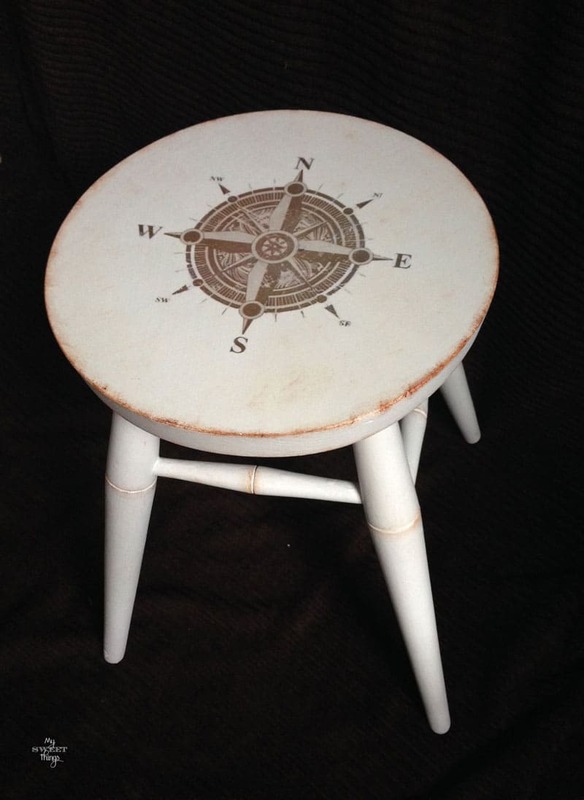 This entry was posted in Before & After and tagged Before & After, Decoupage, DIY, home decor, Milk Paint, Paint, Paper. Pili, this is so, so pretty. 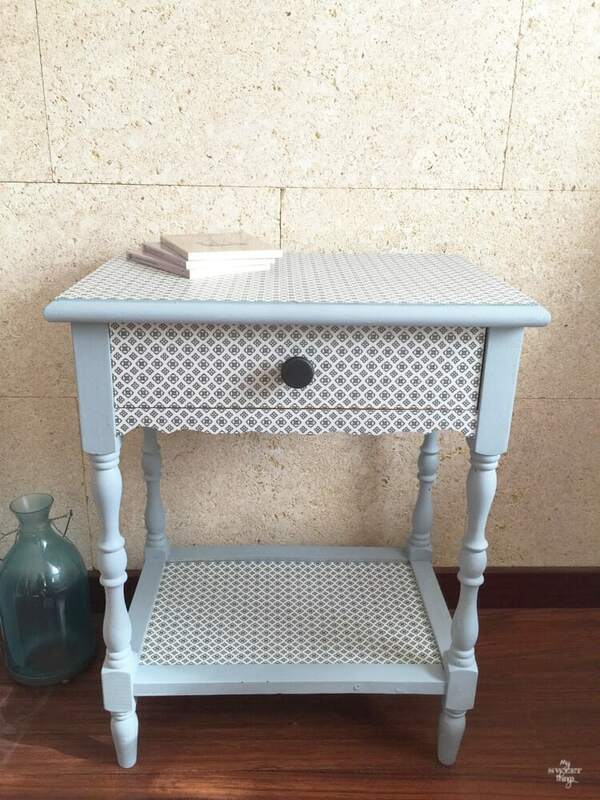 The color of the milk paint is very pretty and soft but when you decoupage it, it makes it really stand out. 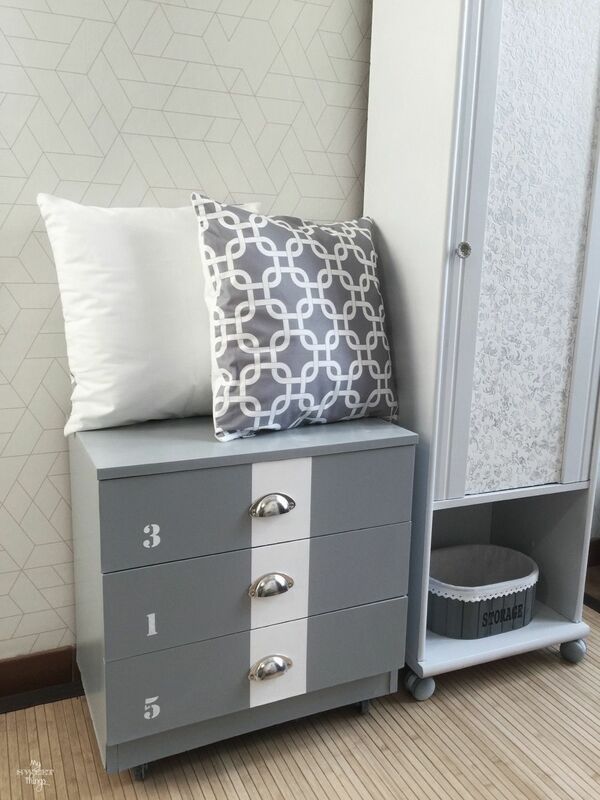 Such a nice pattern and one that is neutral so that your husband would be very happy with it. That is if you eventually decide to give it to him. haha. Glad you like it too Mary. 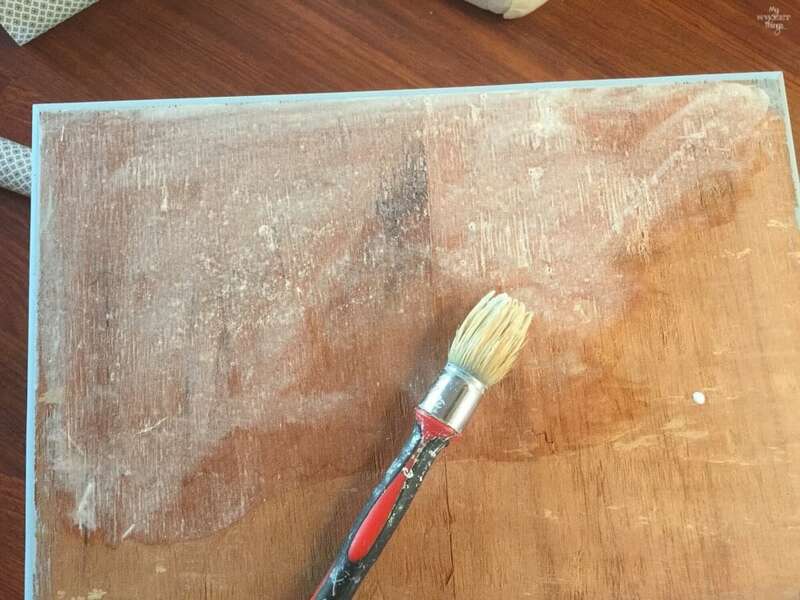 When I saw the bubbles on the veneer I wanted to die because it meant more work as you’ve seen. Now I can say I am happy with the result too and still have time to think who will keep it. Hi Pili, what a fun post! 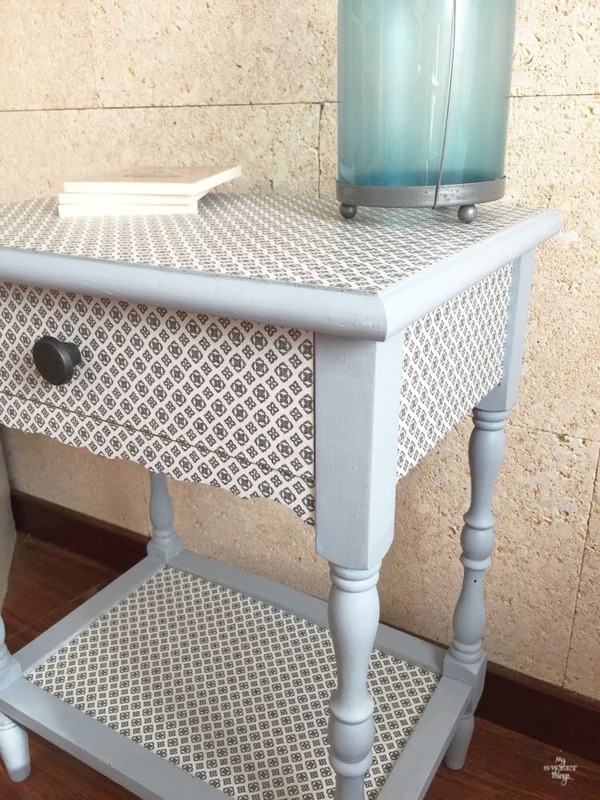 you really put a lot of work into this side table and it shows, because it turned out so beautiful! 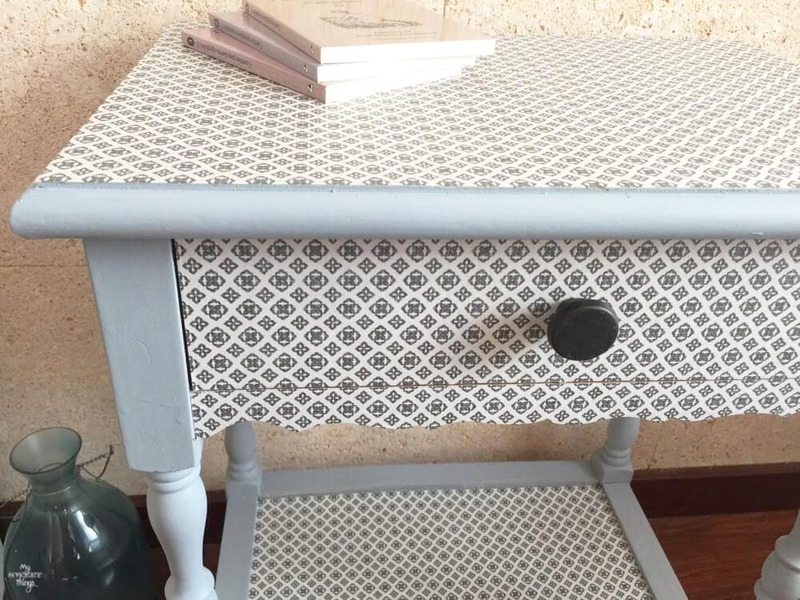 The decoupage is amazing, you really know your stuff and the paint sounds like a great brand to use! 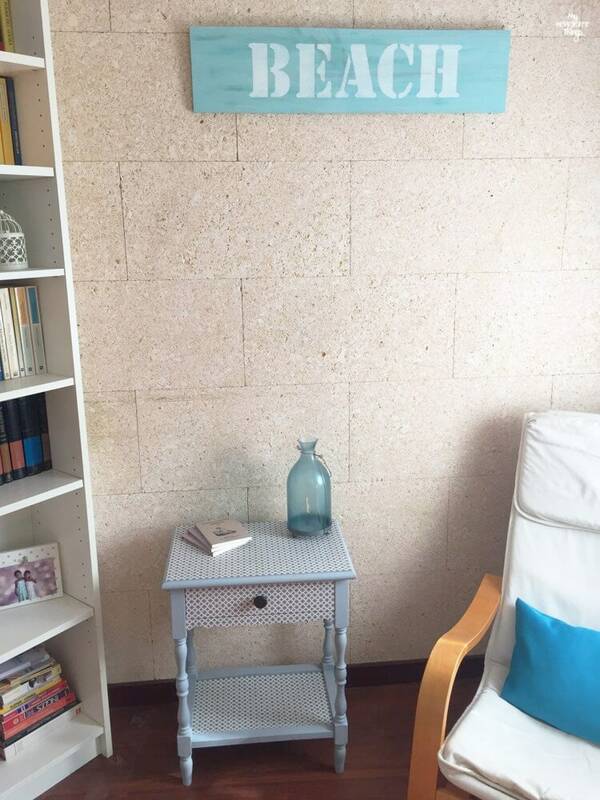 Pili, what a beautiful makeover you gave this table!! 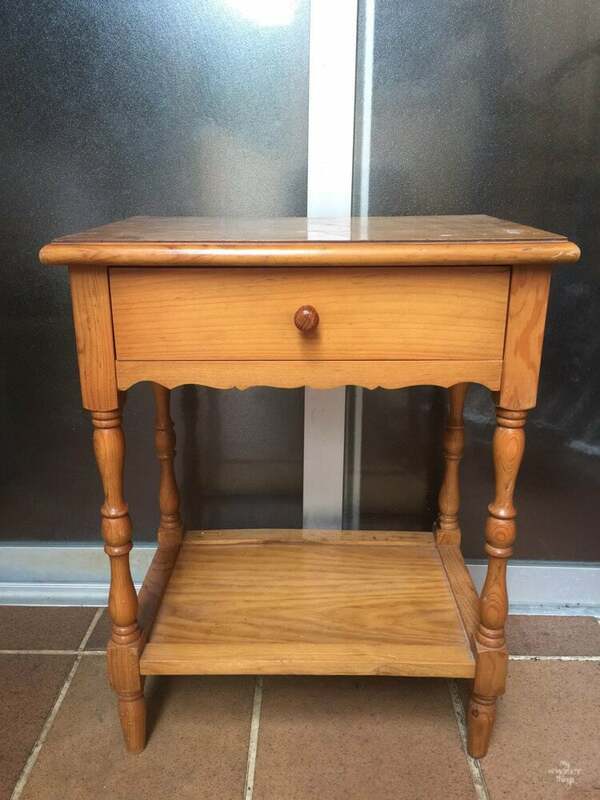 That’s awesome that you’re able to find furniture for free, and even the knob just lying on the floor!! 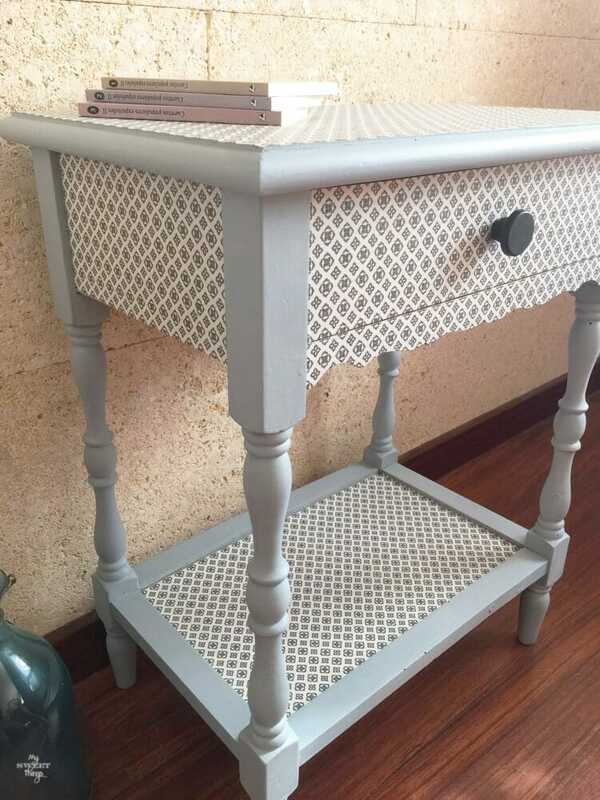 I really like the decoupage look and of course the milk paint looks so smooth and beautiful!! I don’t blame you for wanting to keep the table for your reading corner. Wow! I am impressed with the beautiful makeover work. 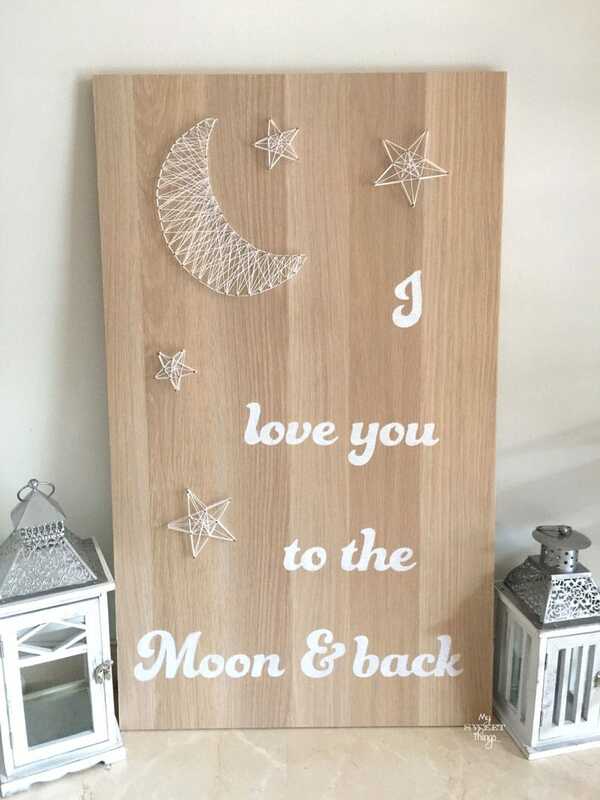 Aww, thank you so much for your kind comment, glad you like it too. You find the best things and wow what a fabulous transformation. The table looks so good. I do agree, I love OFMP also. Gorgeous Pili, I really need to check if OFMP is available in South Africa. Love the color and that it’s all natural. 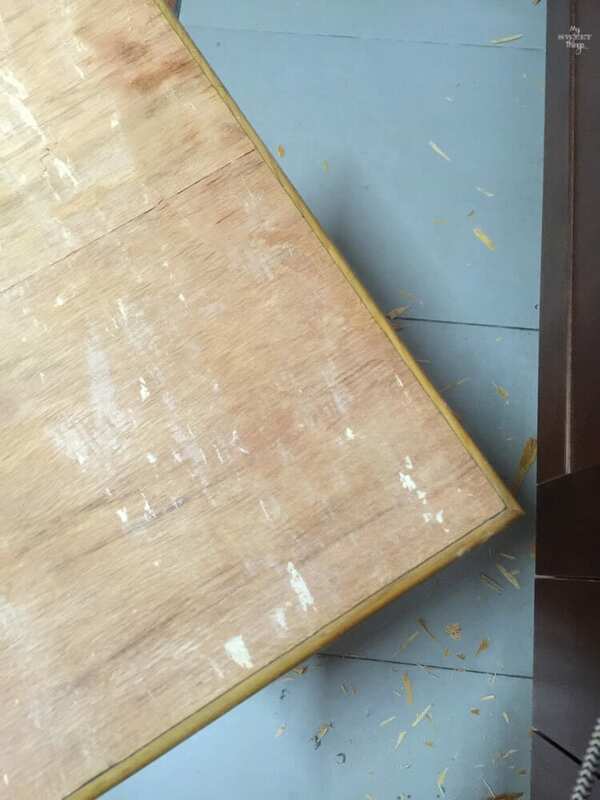 We’re busy with a nightstand for my daughter and I hear you about the veneer, some pieces come off in big beautiful strips and other are like, chip, chip, chip. Ugh. Great transformation!! Hi Michelle! Thank you so much for your compliments! I am not sure it there are retailers there, but the paint is really awesome.